Fixmysite.com is a well-established web company that provides on-demand technical support for anything related to WordPress. 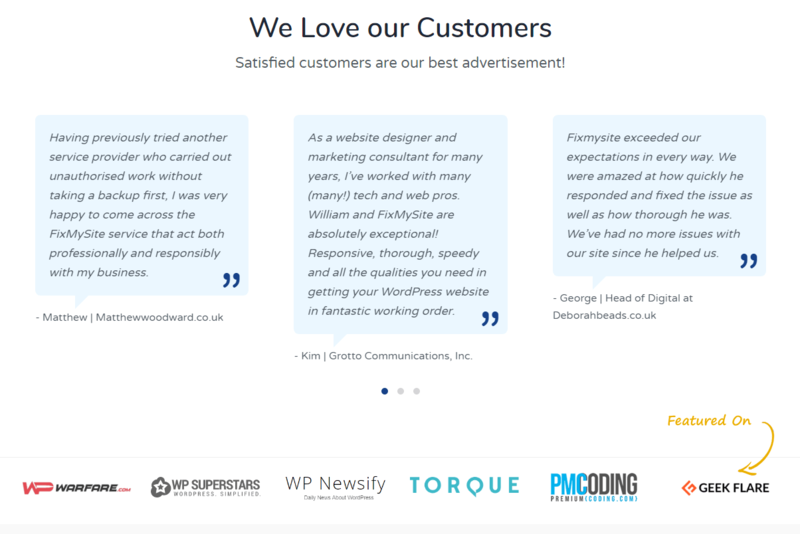 From theme installation/customization to fixation of any WP issue/error – they do everything. 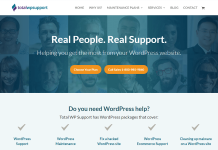 All your WordPress issues are solved in simple 3 steps i.e. contact, review and fix. In first step contact just an open a free support ticket describing your issue and in second step review, a request is reviewed and a quote is sent to you. Then in last step fix, the specialist will get your problem solved. If you are not satisfied with the services provided by Fixmysite.com, they have a 100% money back guarantee. The cost of each service is very reasonable and affordable. You can get the service such as fix issues and errors, Theme customization at $39, website migration at $59, installation at $79, web speed optimization at $89 and malware removal at $99. 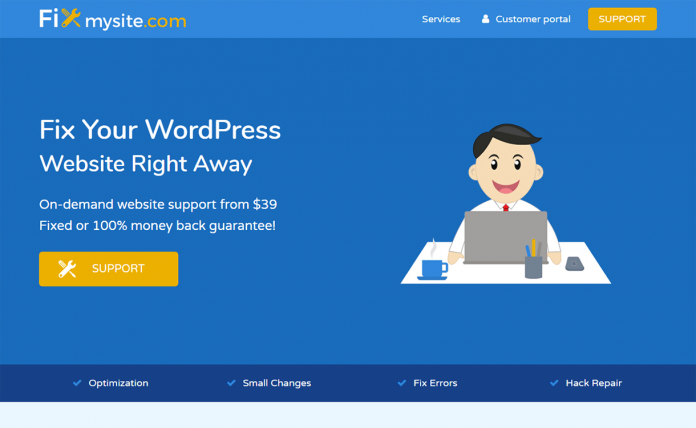 So start building your dream website or get you any WordPress issues solved with Fixmysite.com – a reliable and trustworthy support service. If you want a better support service for your website – then Fixmysite.com is one of the best options to go with. Seems like Fixmysite.com is reliable and convenient to use. The Support Service just costs $39 Us Dollar. To know more about the price and rates of Fixmysite.com – go here. Fixmysite.com is located in Tallinn Estonia. So their standard time zone is Eastern European Time (UTC +2). For further more details – contact them. See with whom Fixmysite.com has worked so far! Currently, there seems no active coupons or offers from Fixmysite.com. Find out more exciting WordPress coupons, deals and offers here! 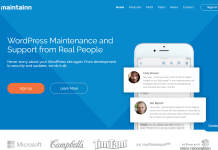 Contact Fixmysite.com for any WordPress Support and Maintenance Services and Facility! 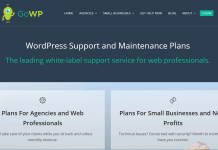 Hey Buddy!, I found this information for you: "Fixmysite.com – Professional WordPress Support Service". Here is the website link: https://wpallclub.com/wordpress-supports/fixmysite-com/. Thank you.